Please Select Friday, June 7, 2019 (14 places(s) available) - (281) Friday, July 26, 2019 (12 places(s) available) - (282) Friday, August 23, 2019 (14 places(s) available) - (283) Friday, September 13, 2019 (13 places(s) available) - (284) Add two nights accomodation with our group reservation at the Trail's End Lodge for only $165 per person. Accomodation for Friday and Saturday nights. All rooms are double occupancy. The lodge features a stunning view out onto Georgian Bay and features a full kitchen, front and rear decks, water access for wall dives, BBQ and lots of room to stretch out and relax. Please Select Saturday, June 8, 2019 (8 places(s) available) - (3452) Saturday, July 27, 2019 (8 places(s) available) - (3453) Saturday, August 24, 2019 (8 places(s) available) - (3454) Saturday, September 14, 2019 (8 places(s) available) - (3455) If you have not dived in cold water before, you should enroll for Discover Local Diving along with your charter to have your own Divemaster to assist and lead you through your first two dives of the charter. 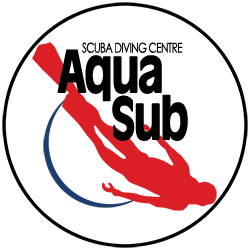 A Divemaster will explain the nuances of cold water diving, brief you on the sites, their features and potential hazzards and lead you through your first two dives to ensure a safe and fun weekend!